My husband and I have been devouring Chaim Potok’s books for the past few months. Our first exposure to him was about a year ago when I read My Name is Asher Lev for a class. The Gift of Asher Lev is the sequel, and focuses on the title character, a world-famous artist who started out as a child prodigy in a Hasidic community in Brooklyn. In both books, Asher struggles with his two identities—the Hasidic Jew who is loyal to his faith, family, and community, and the world-class artist who must create or die. Potok’s style is utterly mesmerizing—his are the type of books in which you become totally absorbed—and his stories are haunting, the kind you think about for days after finishing them. Reading his books, I not only feel more connected to my Jewish roots, but also to my own humanity. Over the past few months I also read The Chosen and Old Men at Midnight. They are all worth the read! I was introduced to Buechner last year through his novel Godric, which I also highly recommend. A Room Called Remember is nonfiction, a book of his uncollected pieces. It’s a hodgepodge of essays and articles, a few sermons and a few speeches. My favorites include “All’s Lost—All’s Found,” “A Room Called Remember,” and “Love.” Each piece in the collection is written in his lyrical style that sometimes includes seemingly endless sentences with all the words toppling over each other—but in the best kind of way. His insight into the human condition, and especially human spirituality, is piercingly beautiful. He is a truth teller and a wordsmith, an utterly powerful combination. I also just finished his novel Son of Laughter in which he fleshes out the story of Jacob in Genesis, with all of its scandal and betrayal and humanity; it’s also a fine work. I liked this a lot; the writing is excellent. The book follows a chain of people whose lives are all affected (some of them significantly) because one older woman, Charlotte, is mugged. Her daughter Rose must rush to her aid, which ends up setting off a chain of events for the man Rose works for, and on and on. 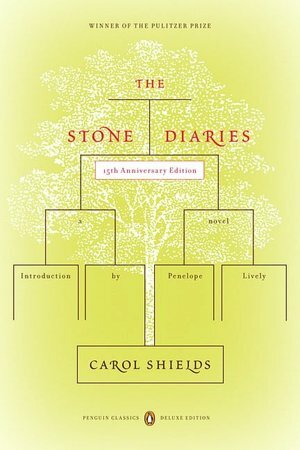 There is interesting commentary by Charlotte about growing old and the nature of one’s individual history, how it defines us. 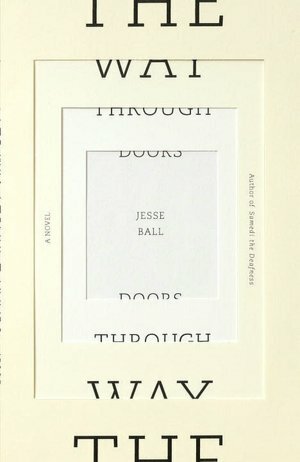 The whole book illustrates, in a delightful way, how interconnected we are. This book is from the early 1990s—I randomly picked it up at the library and ended up liking it quite a bit. Again, great writing. It is the fictional “autobiography” of a woman named Daisy Stone Goodwill, tracing her life from birth (1905) to death in the 1990s, through diary entries written both by her and by various people in her life. Diary entries written by different people about the same event show how much we see things through the lens of our own experience.